Held at the Savannah College of Art and Design’s (SCAD) Museum of Art, the panel featured directors whose movies had been programmed as part of the festival’s inaugural “Docs to Watch” sidebar. The Hollywood Reporter’s Scott Feinberg helped to organize the sidebar and served as the panel’s moderator, and he effused about the high quality of documentaries in 2014. Panelists included Steve James (“Life Itself”), Mike Myers (“Supermensch: The Legend of Shep Gordon”), Robert Kenner (“Merchants of Doubt”), Gabe Polsky (“Red Army”), James Keach (“Glenn Campbell: I’ll Be Me”), Jose Antonio Vargas (“Documented”), Charlie Siskel, (“Finding Vivian Meier”) and Alan Hicks (“Keep on Keepin’ On”) and discussion ranged from the personal to the financial. What led you to become a documentary filmmaker? I fell in love with movie-movies, not documentaries. But then when I started to study a bit, and got exposed to documentaries, I think what I loved was the discovery process. You start out with an idea—and hopefully it’s a good idea and interesting to people—and you just see where it leads and follow it, with the story always evolving, just riding it. When it’s good, there’s nothing better I think than being involved in other people’s lives in that way, and deeply. 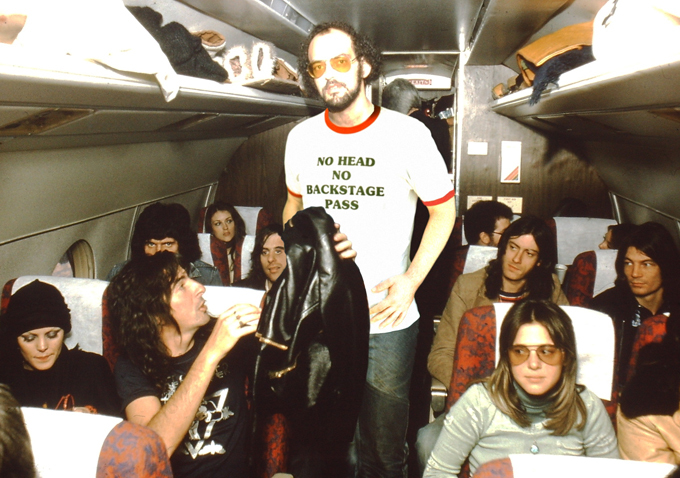 I was trying to get Shep Gordon to do something for twenty years—I met him on the set for “Wayne’s World.” Initially when I was in Toronto, I was a punk rocker. I wanted to create a Canadian neo-realist cinema. And I was very Jean-Luc Godard, very Truffaut. Toronto is a fantastic movie town, and you got to see everything. The second run theaters in Toronto are fantastic. So I got accepted to York University film school out of high school the same day I got accepted to the Second City Theater Company. I had two heroes growing up, one was Truffaut and the other was Peter Sellers. And the Peter Sellers, part of it is where I went. This has been a passion of mine for years. And then Shep finally said yes two years ago, so here we are. I started in the narrative world—a few years ago I made a movie called “Walk the Line.” I was asked by the producer of Glenn Campbell’s last two albums to meet Glenn, and I guess they thought maybe because I had done a musical biopic that I could do a documentary. But the experience for me was much greater than doing a narrative. [At first] we were reluctant because how do you make an entertaining movie about a guy with Alzheimer’s. Then you meet Glenn Campbell and you do it. The discovery that you go through when you’re making a documentary is remarkable. And your life changes. My life has changed. I thought it was going to be five weeks and it turned into three years, 1500 hours of film. I was able to utilize all the things I learned in narrative in a way of storytelling, but also having the experience of the unknown. Constantly celebrating the unknown. In the Philippines growing up we learned about America by watching “Pretty Woman.” I thought America was “Pretty Woman” and “Baywatch.” The first time I heard the word documentary was when I was watching “Siskel & Ebert” and Robert Ebert said “Hoop Dreams” was the best movie of the year. So it’s really exciting to be sharing this panel with Mr. [Steve] James. Actually about two years later I found out I was undocumented. And the only reason I became a journalist was so my name could be on a piece of paper. For me this film is a way to document a story that most people feel is solely politicized. People think it’s about the U.S.-Mexico border, about criminals. Films to me have a real way of not only humanizing people but of letting people into what the realities are of their lives. In high school all I wanted to do was sneak off to this little arts movie theater and watch movies, and I just fell in love with it. Then I was lucky enough to get a job on a documentary feature following a roller derby [“Derby”]. And I spent a year traveling with the roller derby and meeting people and getting involved in their lives, and I thought, I’m going to join the circus and this is how I want to live my life. You meet the most amazing people and you learn about all these different things and you fall in love with new worlds all the time, and you get to try to tell their stories. I started in the film business more on the producing side. I was able to produce a movie called “Bad Lieutenant” with Werner Herzog. He’s always been an incredible influence on me but I never knew I’d be working with him. What I admired about him was his ability to make feature films but also incredible documentaries that are profound and really get to the heart of human beings and the human soul—very powerful experiences. I made a documentary, producing one called “His Way” that was on HBO, and that was the next step. Then I thought that maybe I could do that myself, to direct. And that led me to do what I wanted to do. I was given an incredible, life-changing break by Michael Moore. He turned out to be a mentor to me, and a great influence. I was a lawyer in Chicago with half-written screenplays in my briefcase, riding the subway to work, dreaming of making movies and telling stories. I met Michael and he took a chance and hired me to come and work for him because I was passionate about a lot of the issues that he cared about. He valued that above filmmaking acumen. He thought you could learn how to become a filmmaker, but what you can’t learn is the passion to pursue causes and advocate. So I spent a lot of time working with him and learning that films about issues could be serious and also funny, and entertaining. I’d always been a fan of documentaries, and one of my favorite films, “Salesman,” plays like a drama, like “Glengarry Glen Ross”—but it’s real. I’d always aspired to make films that, while they’re about a serious issue, are also entertaining—so that people will actually want to come see them in a theater. It was very circumstantial for me. The character in my film is an elderly jazz legend named Clark Terry. I met him on a chance meeting in New York when I was studying as a jazz drummer. We became good friends, and I ended up joining one of his bands, and I’d known him for about eight years before I started making this film about him. So it was my circumstance that led me to have this idea of having this film about him. Once I turned that corner it became a full-time study of how to become a filmmaker, and how do I represent this person and his relationship with his latest student, who’s a blind piano player. It was a bit of a discovery for me because I was a musician 100%, and then all of a sudden took a left turn. I’d been living in Australia and I came up with the idea for the film with a mate of mine who’s a cinematographer from Australia named Adam Hart, and we just committed to it and started saving money. We’d save money for about six months, then moved over to the States. We shot for three months and then ran out of money. So we both just went and started working—I jumped on some tours, and played music, and he went and took some other gigs. We worked for three months and saved our money, and we’d shoot for three months—then go broke and then work again for three months and shoot for three. That went on for years, actually. And then we ended up doing a Kickstarter campaign, which was towards the beginning of Kickstarter. We didn’t end up raising a heap of money, but we raised enough to go through a six-month period of shooting. It was cool because we didn’t have anybody telling us what to do at that point. There was nobody creatively involved except for me and my cameraman. We eventually got some light investment, but the film is basically self-funded. And that’s what kind of made it really fun—I was spending this time with my mate. We were in this together. And we felt so strongly about the film as it was developing. We did a Kickstarter campaign and it was very successful. It’s what allowed us to get the film going initially. And then we realized we needed more money, and we didn’t want to go hat in hand going for it, so we believed in the project we were making and contributed our own funds to continue the project. We also kept things very small. We did things ourselves—we did not hire a crew of 30 people. Our credits are very short as a result. It’s the same handful of people who did all the jobs. And that also allowed us to not have too many cooks in the kitchen. And it’s kind of more fun that way too. At the beginning I thought this would be the easiest film I’ve ever made to get funded. I mean, it’s Roger Ebert. Then Steve Zaillian and Martin Scorsese came on as executive producers, and I thought, I’m just going to sit back and the money is going to start rolling in. Then I started to go out to various networks, and nobody wanted to do it. They were like, but it’s about a film critic. We got some private money to get us going, and then CNN called me just to say they were starting CNN Films, and do you have any projects that we might be interested in. And I was like nah, I’m doing this thing you won’t be interested in. And they were like, what is it? I was like you won’t be interested. And they were like no, what is it? I said I’m doing this thing on Robert Ebert and they went oh wow we’re interested in that. So they ended up putting some money into it. 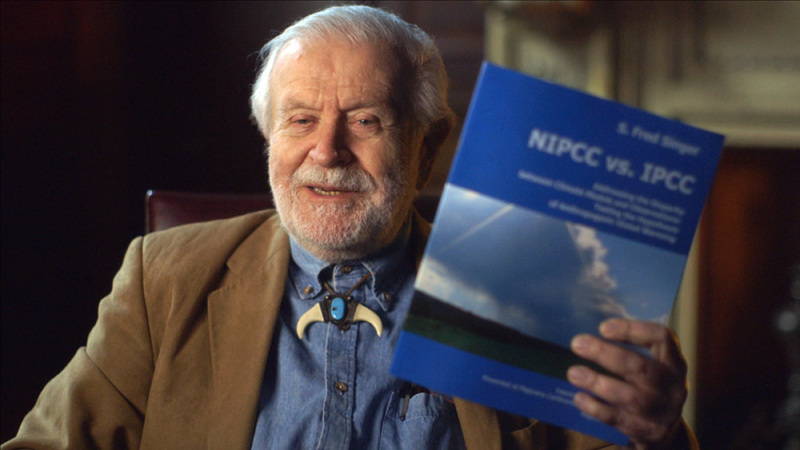 Then the last piece was the Internet, which was actually John Sloss’s idea, [the sales agent] who sold the film. We probably could have gotten money at that point from another source but we decided we wanted to do an Indiegogo campaign to really reach out to all his fans, and make them part of this process. Those kinds of campaigns are a lot of work—it’s not like easy money at all. But it was important for us to do it to build the audience. What did you learn from your subjects? Our culture right now is really obsessed with fame. Being a public person who didn’t really want to be a public person, believe it or not—I’m very grateful it happened and happy it happened—but now that I have two kids [I can see] it’s a very odd focus in the culture. When you ask a young person what do you want to do, and they say they want to be famous, you go hmm. You want celebrities to be celebrated for achievement not just their willingness to give up their privacy. So when Shep Gordon, who had toiled in the field of celebrity his whole life, ends up [nearly] dying with just his assistant [there for him], that was very resonant to me. This thing of wanting to be a famous person—fame is the industrial disease of creativity, not an end. It becomes this thing that is a funhouse mirror distortion of reality. 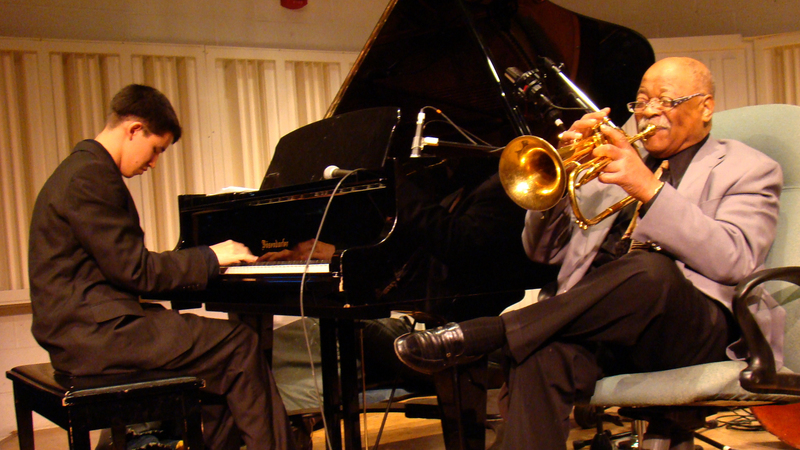 Clark Terry through his whole process was teaching me how to improvise. And I quickly found out that with a documentary you’re just improvising all the time—every little step of the way. He was talking to me, telling me to make sure that I finish the movie if he doesn’t make it through his [health] situation. So he was coaching me through the process, continuing this education on how to improvise. 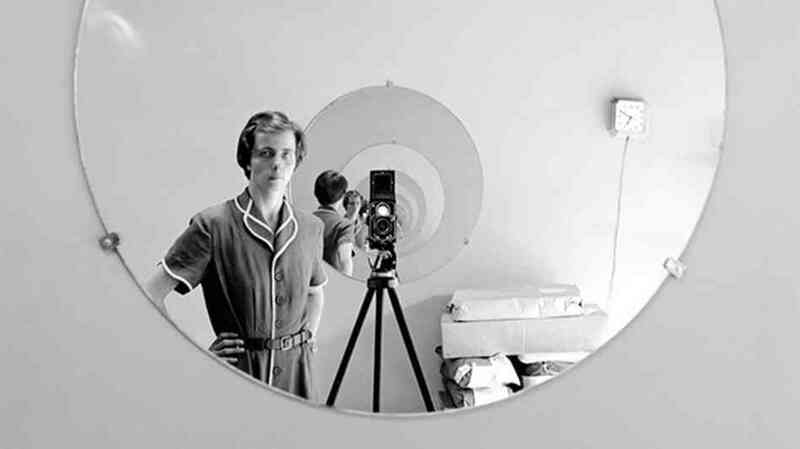 While Vivian Maier was incredibly lonely and didn’t manage to share her work in her lifetime, it never stopped her from [doing] the work of an artist. She was truly an artist who didn’t benefit from recognition in her lifetime. She was never validated by others, she didn’t seek fame. She did it for the love of the work, for the art. And that’s what real artists do. Not because it’s more glamorous or romantic to hide your work away—I think Vivian simply didn’t have the means to get her work out there and have it seen. But what’s remarkable is that it never stopped her from doing the work. And for us that was a lesson for how to have an active role in being an artist. To pursue your work without guarantees of recognition.